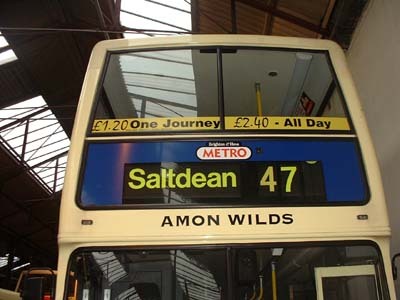 Connections with Brighton and Hove : Born in 1762, Amon Wilds started a building firm in Lewes with his son, Amon Henry Wilds. 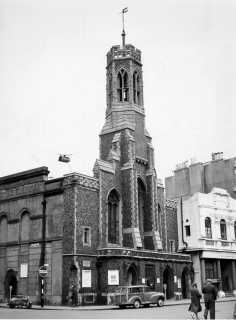 They moved to Brighton in 1815 and built the Trinity Chapel for Thomas Read Kemp. Soon after they built for him the Temple in Montpelier Road. In 1822, Wilds went into partnership with architect Charles Busby and together they built much of Regency Brighton. The two men built the Kemp Town and Brunswick estates which contain most of the Grade 1 listed buildings in Brighton and Hove. Wilds also built the old Debenhams building, previously Plummer Roddis and now partly occupied by Loch Fyne Fish Restuarant in Western Road and the former Elim Church (now a pub) in The Lanes. Many other fine houses in Kemp Town along Marine Parade are theirs and they also built part of Regency Square. 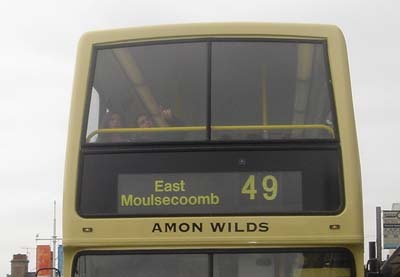 Amon Wilds died aged 71 and is buried in St Nicholas churchyard in Dyke Road. 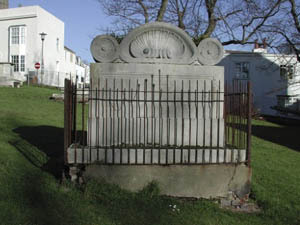 His tomb is covered with shell motifs and was probably designed by his son, Amon Henry Wilds who was an architect, he designed the Royal Albion Hotel, Sillwood House, the Unitarian Church in New Road and the Victoria Fountain in Old Steine. Amon Wilds also built many houses in Park Crescent, Sillwood Place, Waterloo Place and Cavendish Place. 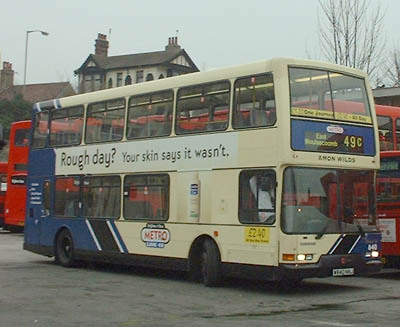 840 Dennis Trident - carried name since delivery in April 2000, on METRO Line 49, renamed Ian Caldwell during April 2001, then back to Amon Wilds. 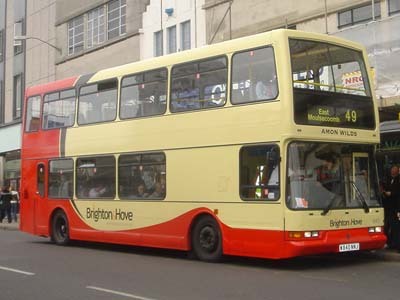 In March 2005 repainted into new livery. Name reintroduced on 820 Mercedes Streedeck on Route 1 - in December 2016.